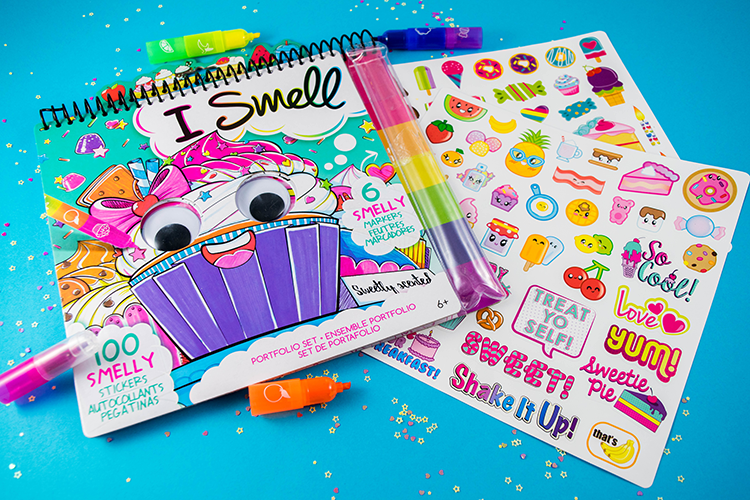 Color Adorably Scented Designs With these Smelly Portfolios from Fashion Angels | YAYOMG! We’re kind of obsessed with scented accessories right now, and it seems that everyone else is too. From fruity scented nail polish to cupcakes scented key rings, we just can’t get enough. 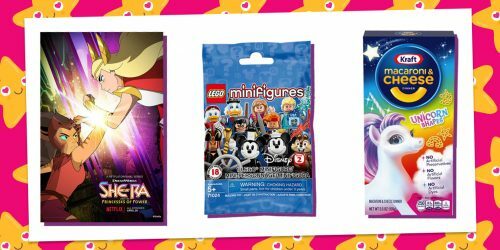 (And let’s not forget how much we love collecting NumNoms!) Do you love all things scented too? 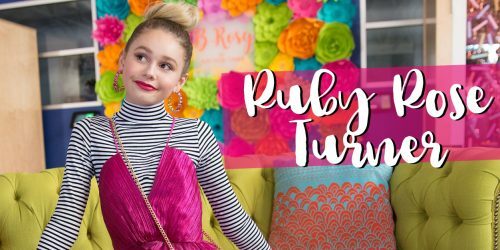 You’re definitely going to want to get your hands on one (or all) of these Fashion Angels Smelly Portfolios! 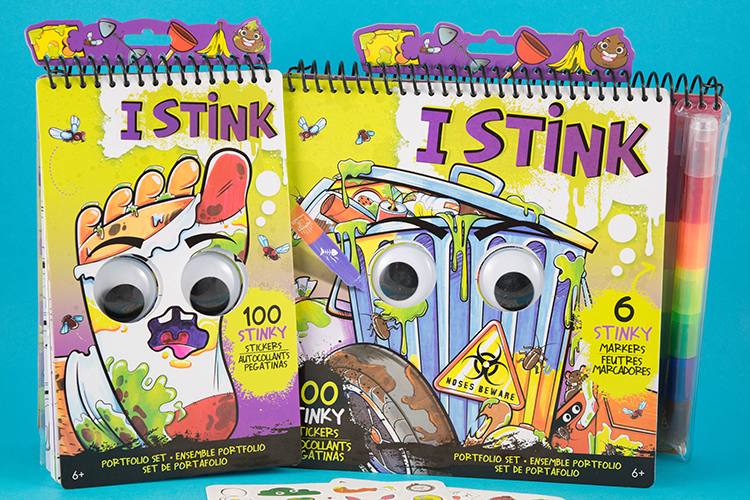 The Smelly Portfolios come in two types “I Stink” and “I Smell”. 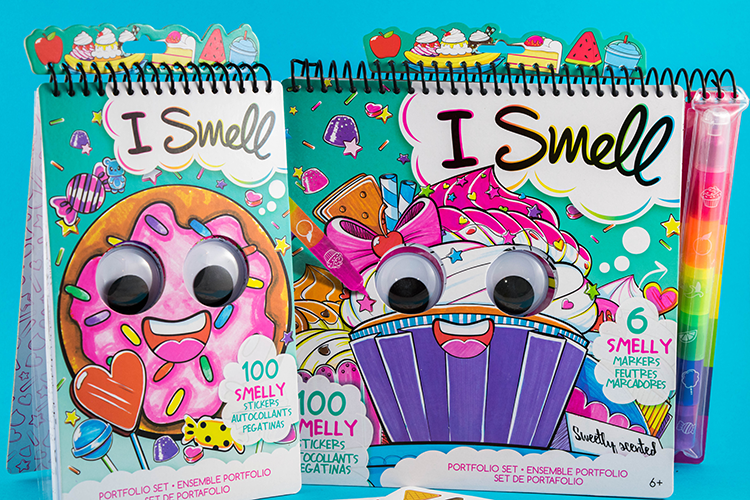 “I Smell” contains all things sweet and delicious. Cupcakes, donuts, smoothies – if it’s tasty and smells amazing, you can expect to find it between the pages of these portfolios. 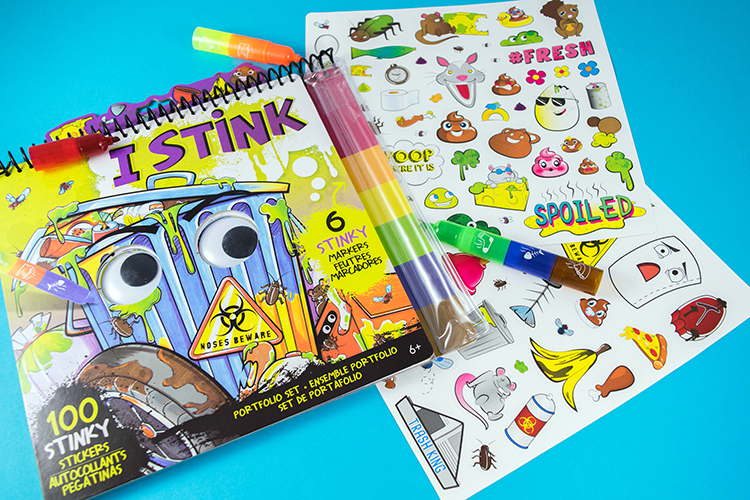 The larger portfolio comes complete with 40 coloring/doodling pages, 100 scented stickers, and 6 smelly markers. The markers smell AMAZING, and include smells like cotton candy, bananas, and cupcakes. You can pull the markers apart and use them individually or stack them together to make one super giant marker. The markers have a really bold, strong scent that lasts even after you’ve finished coloring. The stickers are all super cute designs and phrases that smell like walking by a house that just baked something delicious. 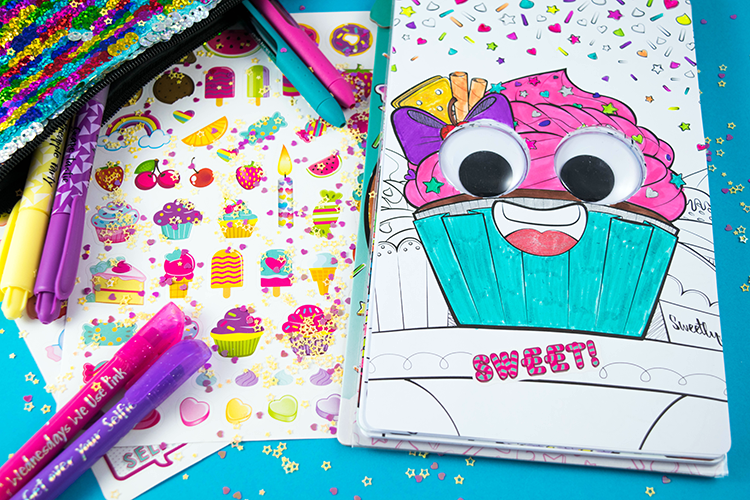 We love that you can see the big giant googly eyes throughout most of the pages, it’s an extra fun touch to finish a design and then make those eyes dance! 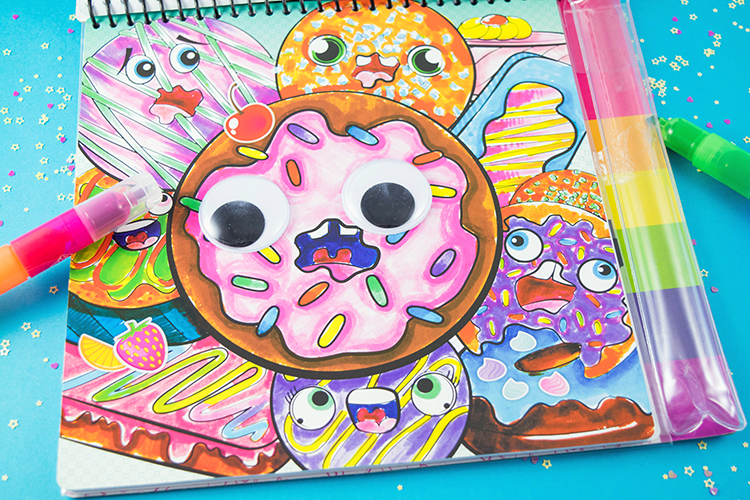 The compact portfolio comes with 30 coloring/doodling pages and 100 smelly stickers. It’s a smaller version that’s easier to stash in your bag, but the designs are just as cute. 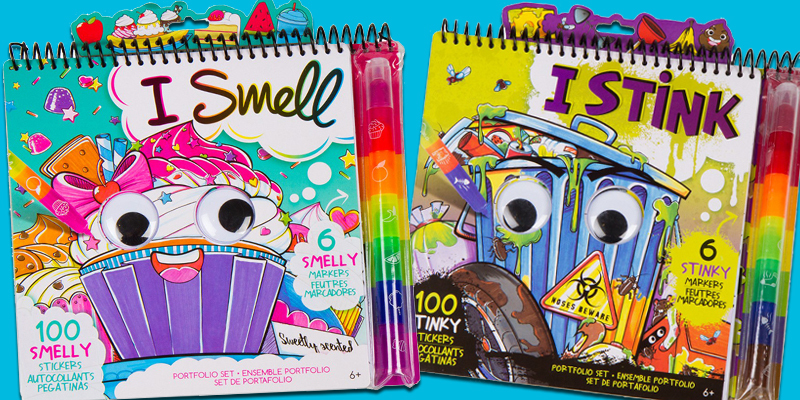 The compact Smelly Portfolios don’t come with markers – so you’ll have to use whatever you’ve already got at home. We used our Fashion Angels Un-Mistakeables markers, some Crayola Glitter Markers to add sparkle, and even some Mr. Sketch markers to keep that smelly vibe going. If you’re more the crayon or colored pencil type, those will work too. So what are these “I Stink” portfolios all about? There may be literal trash on the cover, but these coloring pages are nothing but. 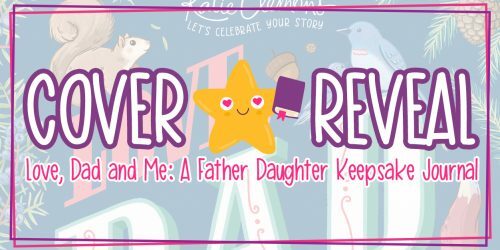 We laughed our butts off page after page at all the gross designs and stinky puns. The breakdown of stuff you get is the same as the “I Smell” versions, but instead of happy little cupcakes, you’ll get to color poop emojis, stinky socks, and other generally hilariously nasty things. We must warn you though, the markers that come with the larger “I Stink” markers are seriously STINKY. The blue marker might smell like Cotton Candy in the “I Smell” set, but in the “I Stink” set, it smells like rotting fish. No, we aren’t kidding. Other stinky scents include onions, smelly socks, poop, and trash. These markers are super funny to smell and to prank your parents with but they’re definitely not as pleasant to color with for as long. You’ll definitely want to snag yourself an additional coloring method. Since we had all 12 markers, we invented a little game. Will you get a delicious smell or an awful one? Close your eyes and take a risk. Here’s how to play! – Put all the markers in a circle on the table. Youngest player goes first. – Close your eyes, grab a marker from the circle, and smell it. – Try to guess the smell correctly. Did you get a sweet scent or a stinky scent? If you can’t guess it, pass it to the person next to you and give them a try. – If you guess correctly, you earn a point. Player with the most points when all the markers are sniffed is the winner! We guarantee it’ll bring the LOLs. So how much do they cost? The larger portfolios are $10.99 and the compact ones are just $5.99! Need one now? They’re now available on the Fashion Angels site. Thanks so much to our friends at Fashion Angels for sending us these Smelly Portfolios. We had a ton of fun coloring them and sticking our scented stickers all over everything we own and we think you guys will too! Scented stuff not your style? 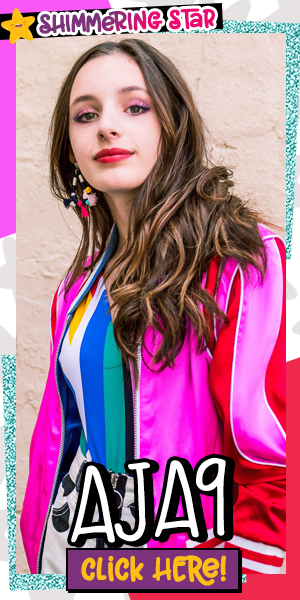 Click here for even more of our Fashion Angels recommendations! Note: We received this product for free from Fashion Angels in exchange for a fair and honest review. We were under no obligation to write a positive review.